Nearly one year after US President Donald Trump confirmed the US would recognize Jerusalem as the capital of Israel and move its embassy from Tel Aviv to Jerusalem, Australian Prime Minister Scott Morrison followed suit by suggesting that Australia plans to make the same risky move. Morrison said Australia is considering to recognize Jerusalem as the capital of Israel and to move its embassy to the holy city. Morrison's comments prompted concern and criticism, especially from Arab countries and other countries with big Muslim populations, including Indonesia. Various ambassadors said Australia's plans could disturb the peace process, while they also warned that relations between Australia and Arab countries (or Islamic countries) could be negatively affected by the move. A total of 13 ambassadors held a meeting in Canberra on Tuesday (16/10) where they agreed to send a letter to the Australian foreign minister to express their worries and concern about Morrison's statement. Penny Wong, Opposition in Australia's Senate, said the "Jerusalem announcement is a desperate attempt to win the by-election for Dave Sharma." Sharma is candidate for Morrison's conservative Liberal Party in the federal by-election in Wentworth that is scheduled for 20 October 2018. If Sharma is not elected, then the government will lose its single-seat majority in the House of Representatives. Indonesian Foreign Minister Retno Marsudi said Indonesia strongly opposes the move. After meeting visiting Palestinian Foreign Minister Riyad al-Maliki, Marsudi was quoted saying "Indonesia encourages Australia and other nations to continue to support the peace process and not conduct any actions that could undermine the peace process and global security." Morrison's latest Jerusalem comments could also mean that the Indonesia-Australia Comprehensive Economic Partnership Agreement (IA-CEPA) will not be concluded anytime soon. In July 2018 we reported that IA-CEPA negotiations entered the final stage although there remained several crucial issues that still need to be agreed upon by both sides. After Morrison visited Indonesia in late August/early September 2018 it was speculated that a deal would be made soon as both sides were positive about the meetings and called it a win-win situation. Morrison's visit to Jakarta came only one week after being sworn in as Australian prime minister (replacing Malcolm Turnbull), thus indicating that the deal is important to the Australian government. • The "2013 spying scandal" occurred in 2013 when allegations were made that the Australian Signals Directorate, which is an intelligence agency in the Australian Government Department of Defense, attempted to monitor activity on the mobile phones of then-President Susilo Bambang Yudhoyono, his wife and several senior government officials. • Another major diplomatic fallout occurred when - despite Australia's pleas for clemency - Indonesia executed two Australian citizens (members of the so-called "Bali Nine" drug trafficking ring) in May 2015. • In mid-2015 Australian live cattle exporters objected strongly when Indonesia imposed barriers on cattle imports from Australia, slashing total cattle imports by 80 percent. The Indonesian government made this move in a bid to enhance self-sufficiency in beef. However, the decision actually led to soaring local beef prices and good gains for the so-called "beef mafia" (which refers to certain groups that deliberately hold on to the beef supply in order to let prices raise before selling beef). • In early 2016 Indonesian officials said Australia is not doing enough to help refugees in the Asia-Pacific region. 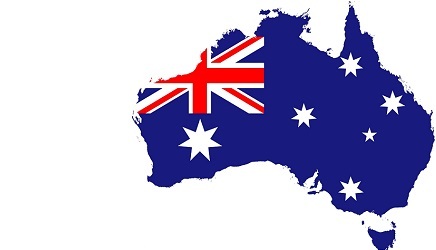 • In October 2018 Australian PM Scott Morrison said the Australian government considers to recognize Jerusalem as the capital of Israel and to move its embassy to the holy city.